It was a hot, sunny, busy day at Orphans of the Storm®, and some of the long-timers were lucky enough to cool off and clean up with a nice bath from a couple other volunteers. (I looked on, impressed, since the one time my family tried to give our dog a bath ourselves it didn’t go so well.) Emerald, Corky, Diamond, and a few others all seemed to enjoy the extra attention and the nice-smelling shampoo. Diamond was especially well-behaved, so if you’re the lucky one to bring her home, you could try giving her a bath yourself! 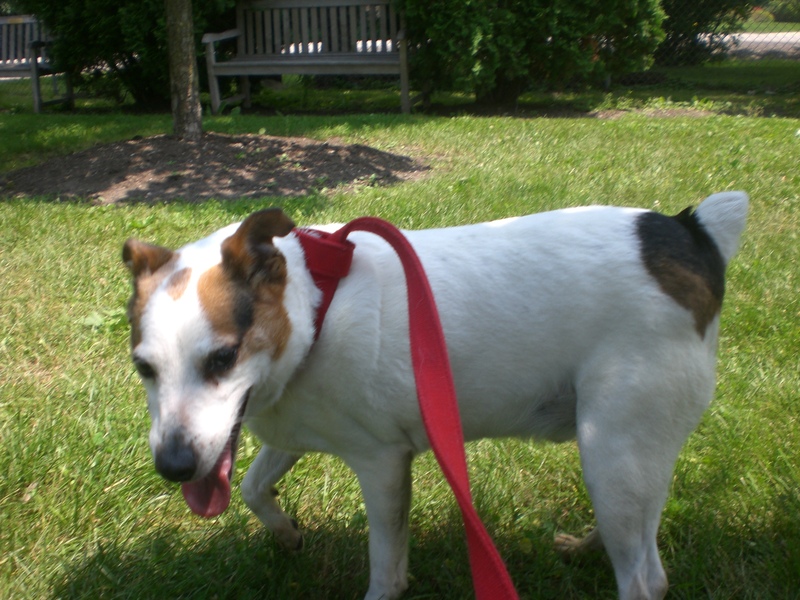 Emilio the five-year-old Jack Russell Terrier mix is a pooch I’ve been meaning to walk for a long time, because he is just so cute and so friendly! Seeing his itty-bitty tail wag puts an instant smile on your face. 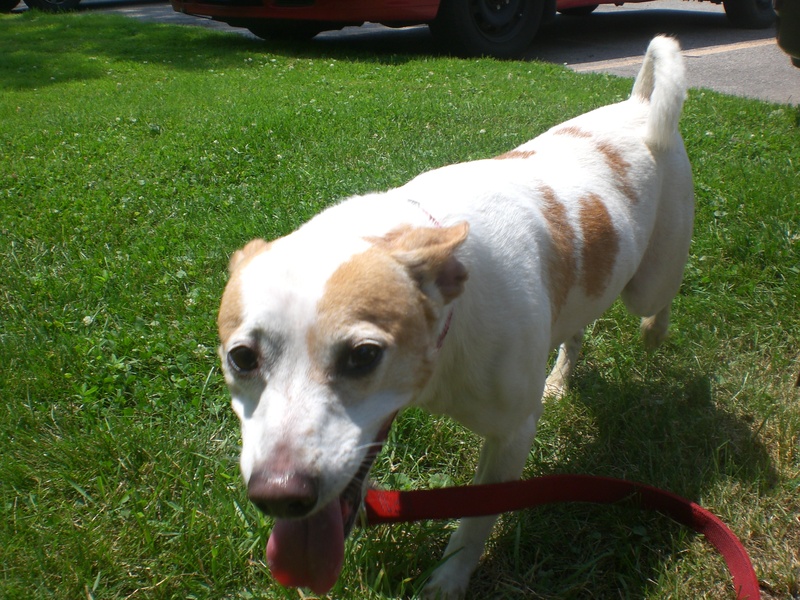 It may have been because of the heat, but it seemed to me that Emilio was a little calmer than the average JRT. When we were on our walk, he was just casually sniffing and strolling along, rather than running from place to place. Emilio is definitely a cuddler. While we were hanging out in the shade, he pressed himself right up against my leg and enjoyed the snuggles while also keeping an eye on what else was happening around us. Since he’s small enough to fit in your lap, he’d probably happily curl up with you on the couch! 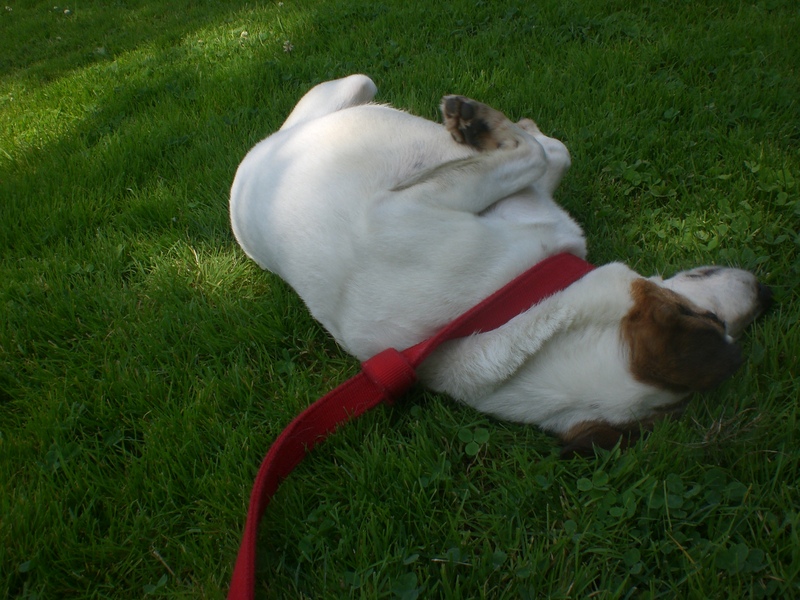 He also has a fun side, though; he found a nice spot of grass to roll around in and kick up his little paws. Emilio gets along well with other dogs and currently has a kennelmate (see below), so he can go to a home with or without other dogs. This lovable guy is ready for a new family, so come in soon to meet Emilio! Sassy the six-year-old Terrier mix is Emilio’s kennelmate (so she could also go to a home with or without a doggy friend), but has more of that typical Terrier personality that you’d expect. The heat wasn’t slowing her down as she trotted from bush to bush, and she kept turning around to look at Emilio and me, wondering why we were being so sluggish by comparison. Sassy liked getting her hips scratched and would do a little wiggle so I got to the right place, and although she’s a little short, she enjoyed giving doggy hugs. Sassy is also super cute. She has big ears that either lay flat on her head or perk straight up towards the sky depending on what she’s doing. When she’s hot on the trail, her ears are back; when she’s looking up at you expectantly, her ears are up. This playful little girl can’t wait to find a playmate to call her own! And Sassy with her ears up! Patriot the four-year-old black Labrador Retriever mix is what I like to call a “big dog lap dog,” which to me means that he knows he can’t actually fit in your lap, but will stand over you while you’re sitting down with his tummy resting on your legs. I have no idea if this is comfortable or not, but Patriot seems to think so because that’s what he did with me after we found a shady spot to relax. 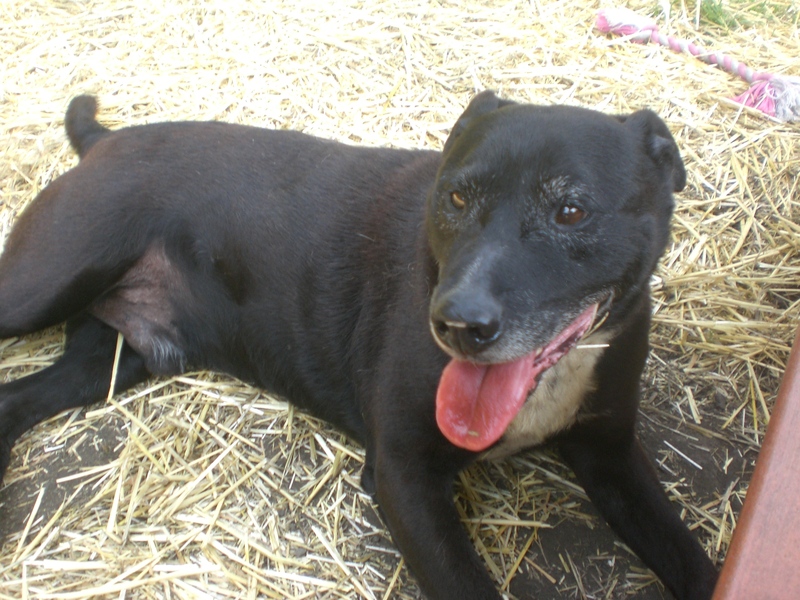 Although Patriot would sometimes get little bursts of energy and want to run forward, overall he was a calm, gentle dog who was always ready with a doggy grin. He especially liked getting the top of his head and his chin scratched, and when he wasn’t trying to stand on top of my lap, he was standing right by my side like the loyal friend Labs are known to be. 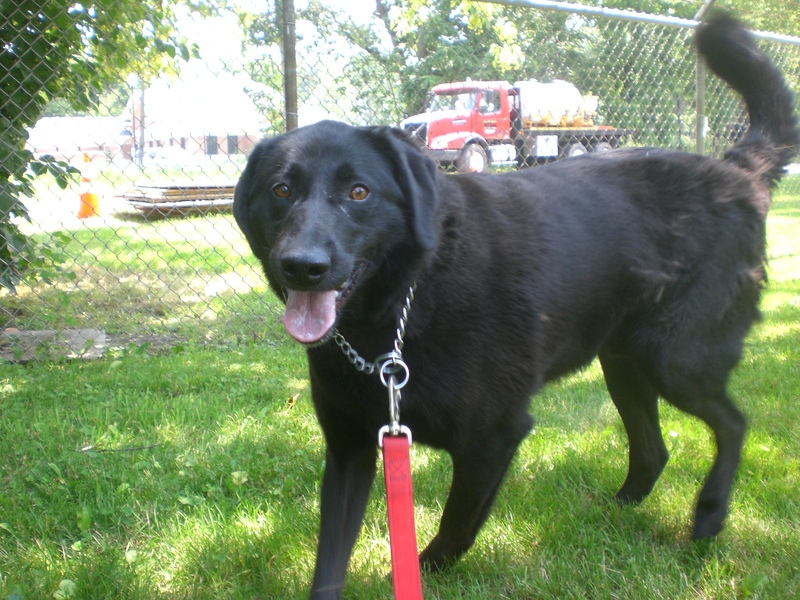 There are a good number of Labs at the shelter right now, and Patriot would make an excellent choice! 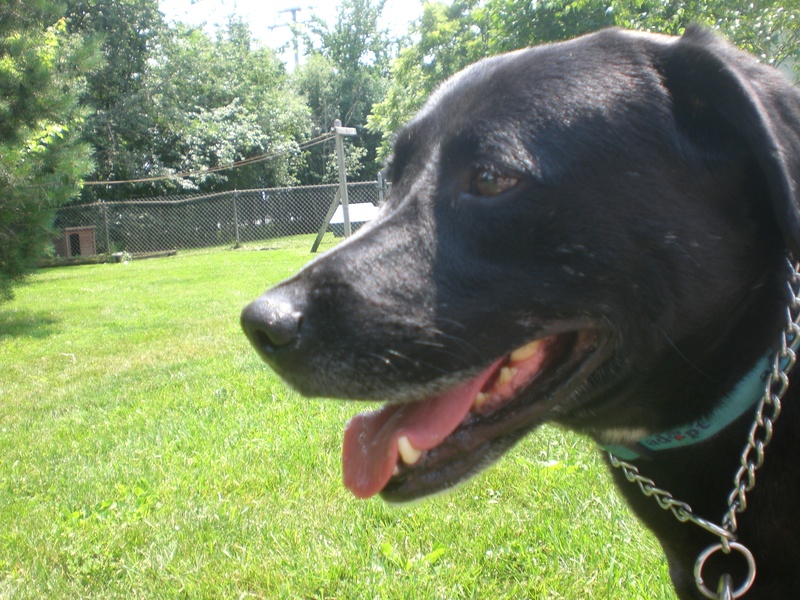 Shadow the six-year-old black Labrador Retriever mix would make the perfect companion dog. He’s a little shy and nervous in his new surroundings at the shelter, but after we had walked around for a little bit and got to know each other, he warmed up and became the perfect walking buddy. He is incredibly gentle and only pulled on the leash when he wasn’t so sure about going back inside his kennel, understandably. Shadow is pretty new to the shelter, but he’s already a volunteer favorite because he’s just such a sweetheart. Like Patriot, he appreciates a nice scratch on the head and will stay close to you both when you’re walking and when you’re just lounging around. Although the most loyal Shadow ever was a Golden Retriever, this Shadow will come in a close second. 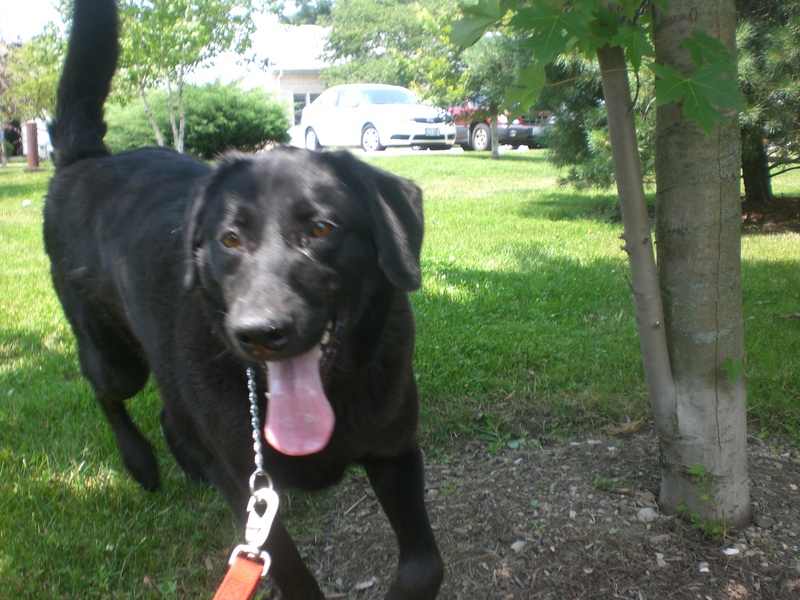 If you’re looking for a calmer Lab, come in soon to meet Shadow! Since I was clearly on a Black Lab kick, I met up with my pal Dino from last week. He was his same fun, happy, affectionate self and, unlike Patriot who realizes he’s too big, Dino actually tried to climb into my lap and covered my face with doggy kisses. He was the one dog I took out who didn’t seem to mind the heat one bit. 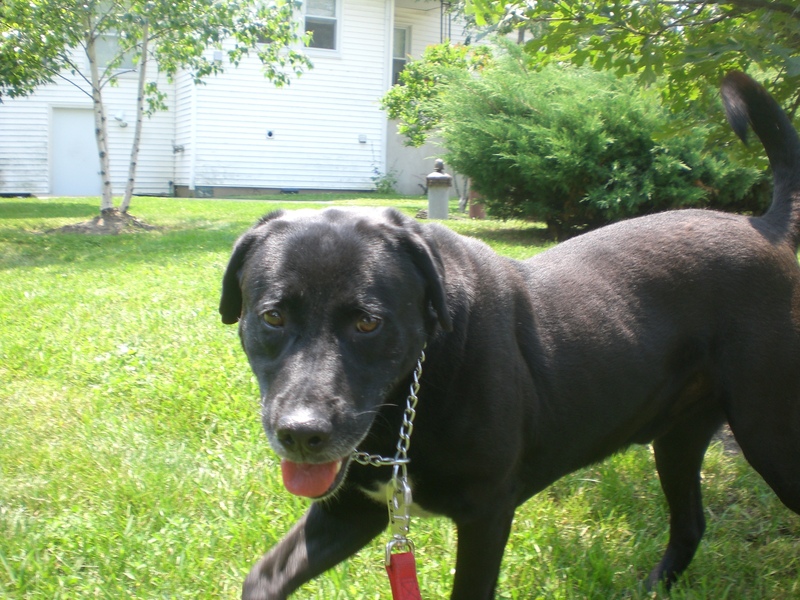 Dino is definitely much more active than both Patriot and Shadow, so if you’re looking for a Lab who will do all sorts of fun outdoorsy activities with you, Dino could very well be the pooch for you. I hadn’t checked in with my favorite Lilly for a few weeks, so I took her and her kennelmate Midnight to the off-leash run so they could stretch their legs. Both of them seemed to be more interested in finding a shady place to relax under the bushes, but every few minutes they would both come running back to me to get an affirming scratch behind the ears. Below is a new picture of Midnight lounging at my feet, because how could I not post a picture of that precious face? Kennelmates Frankie and Bailey both got to enjoy some fun in the sun, too! I also said a couple of weeks ago that I would keep you updated on the Big Dog Show in downtown Highland Park. Many of Orphans of the Storm®’s residents will be there this Saturday, July 13, from 11am-2pm. I highly recommend you check out both the dog statues and the real things! 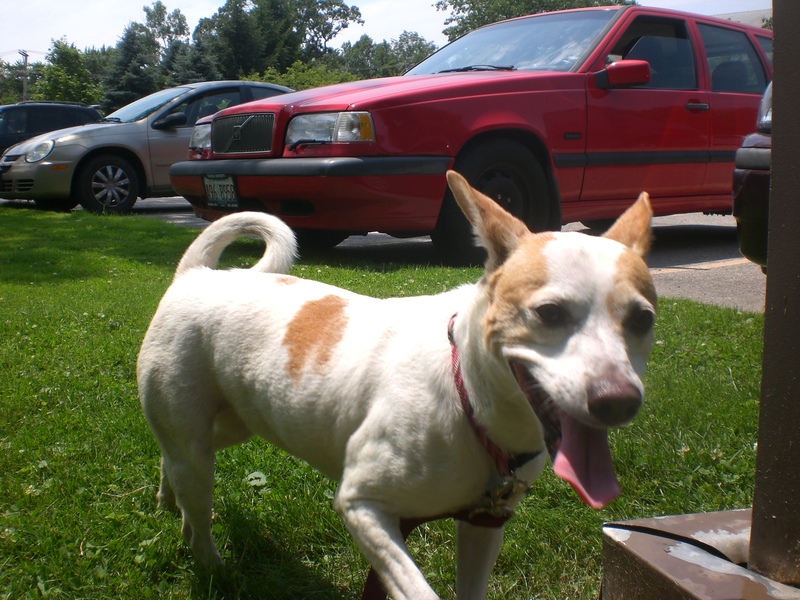 Posted by Meet the Pooches on July 10, 2013 in Dog Profiles and tagged adopt, adoption, animal shelter, animals, big dog show, Chicago, dogs, Highland Park, Jack Russell Terrier, Labrador Retriever, Orphans of the Storm, pets, Terrier.